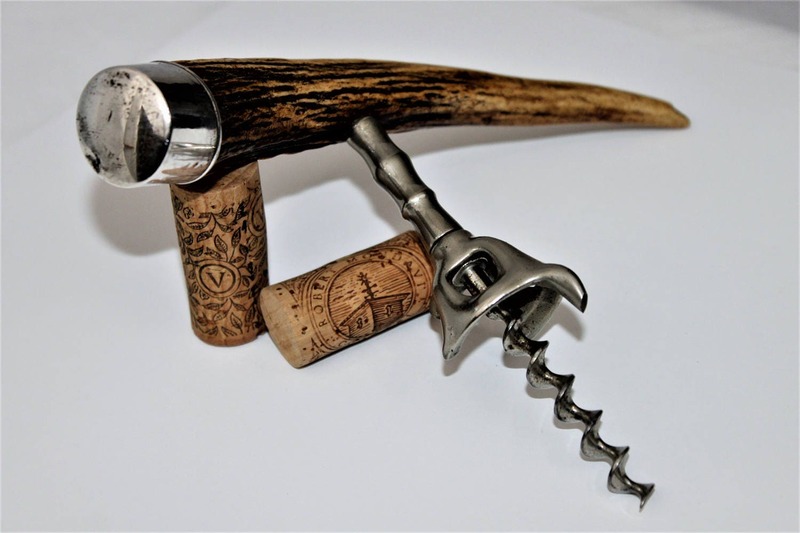 We have for sale a Antique Late 1800s Antler Handle Sterling Silver Corkscrew. 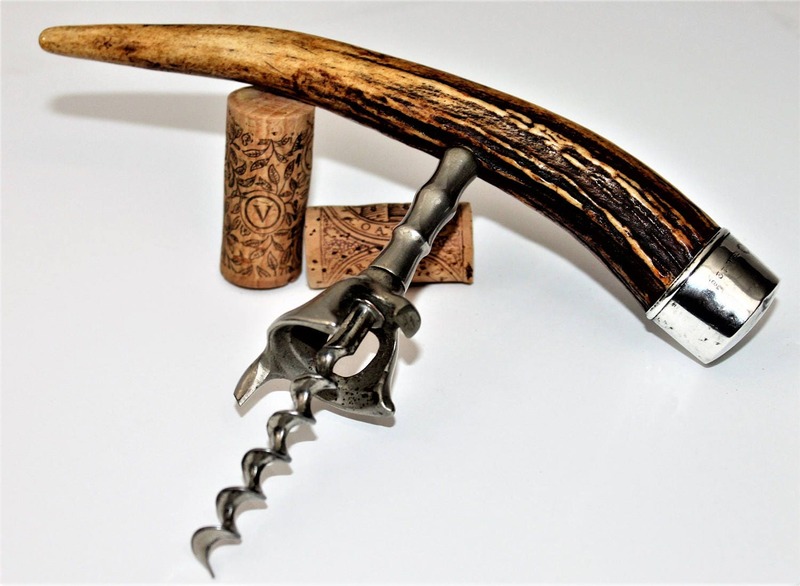 The end of the antler is adorned with a sterling silver cap, marked sterling 126 and the Watson Silver Company Hallmark. 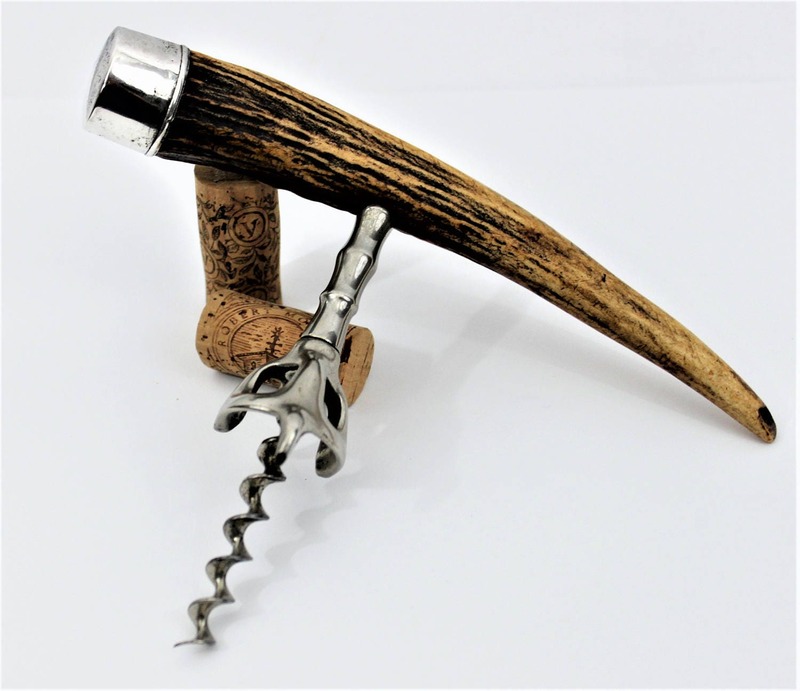 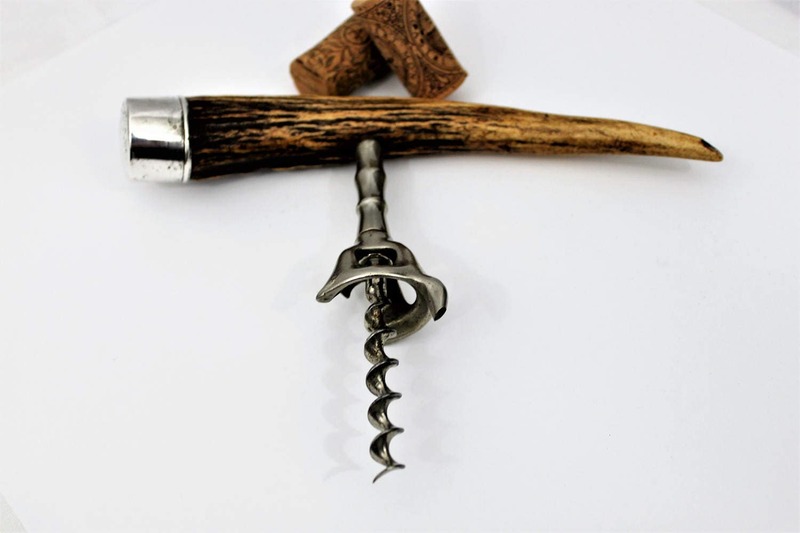 The corkscrew is a chrome plated American made Walker Bell with a cap lifter, the corkscrew boasts a beautiful sharp straight bladed worm. 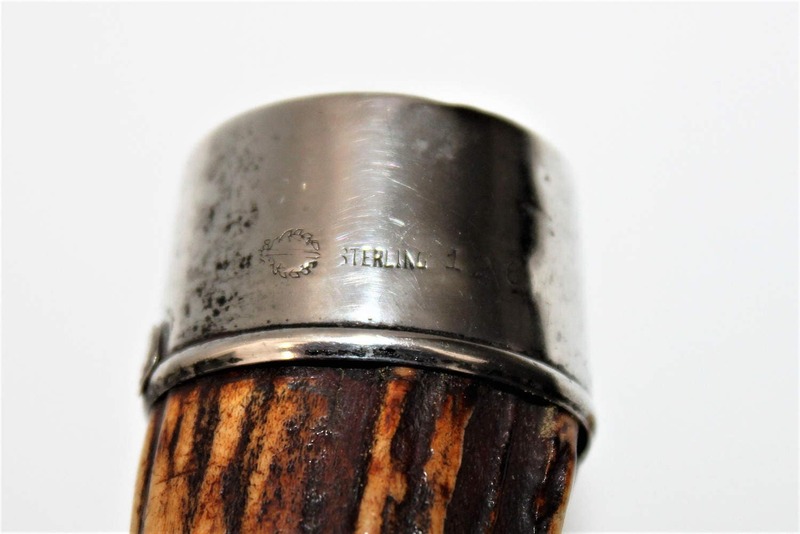 Condition is very good; couple small dings in the cap, silver could use a cleaning.